What spices are essential in a food blogger’s spice rack? 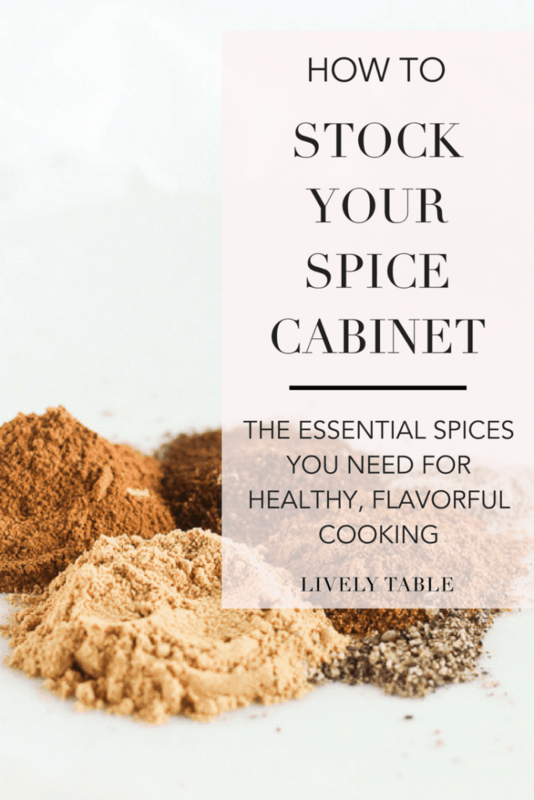 Here are the spices you need in order to stock your spice cabinet for healthy, delicious cooking, every night of the week! The ability to prepare flavorful and delicious, healthy meals often depends on how well you are prepared. I already talked about the healthy pantry essentials I keep stocked in order to prepare healthy meals easily. But in order to add flavor to your meals, you need some essential spices, too. The great thing about spices is that they go a long way, add very little sodium, sugar, or fat, and don’t spoil easily. They also add a ton of flavor to your meals very quickly and easily, making it much more convenient to prepare healthy meals that taste good, too. You can buy a couple at a time to make stocking your spice cabinet a little less of a burden, or load up all at once when your favorite brand is on sale! Once you have all the basics, you can start stocking up on spices for specialty cuisines you make often, like Mexican or Indian. With a few simple spices, you’ll always have something on hand to make any dish taste so much better! Coarse Sea Salt and Grinder – (I use Himalayan, but regular sea salt works, too.) I’m amazed at ho many people only use table salt. DON’T. Coarse sea salt that you can control the grind on makes everything better. Whole Peppercorns and Grinder – Same with pepper. Don’t settle for pre-ground black pepper. Do yourself a favor and get a grinder. *Note: I prefer fresh herbs, so the only ones of these I keep on hand are dried thyme and dried rosemary. With all of these spices on hand, you should be able to make your own spice blends, like pumpkin pie spice, chai spice, BBQ seasoning, taco seasoning, and more, without having to buy specialty blends. That way you don’t have to clutter up your spice cabinet with things that only have one use. I think I’ve covered pretty much everything, but if there’s an essential spice I missed, let me know! We have the majority of these! Awesome post. I often just season on a whim if I don’t have a specific plan for the meal. Like yesterday I seasoned a pan of cubed sweet potatoes and green beans with an Indian bbq spice blend that turned out phenomenal. Matt has taught me more about venturing out when seasoning, and we love to use several in our savory oatmeal bowls!